The preparations have been quite demanding. The 1st planning meeting was held in Myjava in February 2015, were Slovak and Finnish colleaques took part in person and through the Skype videoconference the other partners, too. During this meeting the topic was set up, the layout was established and consequently our school worked out the whole project documentation.Finally the application was sent to the National Agency and it was approved. From the total 100 we were given 86 points and we ranked among 26% of the accepted projects. With that we have been offered the grant for period from 2015 till 2018. There was nothing but start our project with the full power. 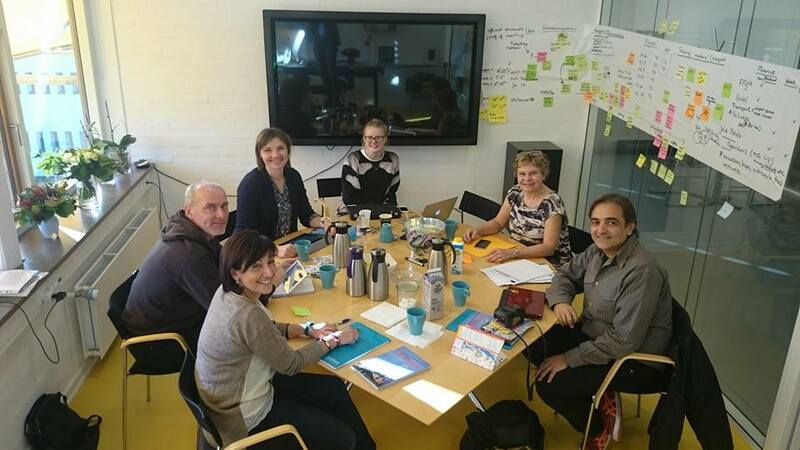 In October 2015 the 1st meeting of the coordinators from all the partner schools took place in Copenhagen. The coordinators are: Yannis Volakakis ( Crete), Monika Stahls (Finland), Eva Krarup Steensen, Maria Rosaria D´Agostino ( Sicily) and Radim Kovařik (Slovakia). During the following 4 days they planned the whole running of the project in details, the schedule of mobilities and other project activities and meetings, individual activities during mobilities, the budget, the way of communication among all the teachers and students involved in the project and all the other details. A really great team has been created, full of energy and enthusiasm and we all have agreed on a nice vision of the future successful cooperation.